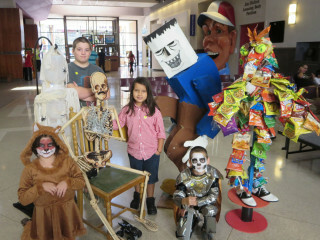 The Health Museum's 7th annual Siege of the Skeletons art competition, running September 29 through October 31, will feature more than 50 entries from students in elementary school (Pre-K to 5th grade), middle school (6th to 8th grade), high school (9th through 12th grade) and the non-school open category of individuals and organizations. Siege of the Skeleton winners will be announced October 17. Each category winner will receive a $50 gift certificate to Texas Art Supply, two ScreamWorld VIP passes and a one-year membership to The Health Museum for individual/family winners or passes to the museum for group entry winners. For more information on contest guidelines or to register for The Siege of Skeletons, please visit www.thehealthmuseum.org/siege.